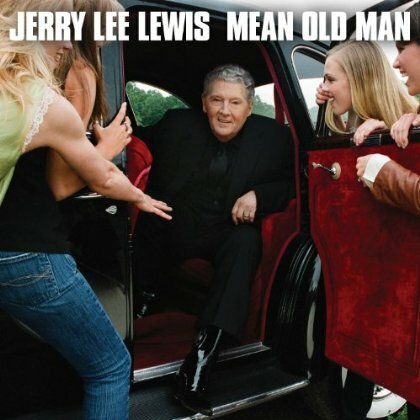 Wednesday, July 14, 2010 – Jerry Lee Lewis will put out "Mean Old Man," through Verve/Universal Music on Sept. 7. This is Lewis's follow up to his 2006 release "Last Man Standing." An 18-song deluxe is being offered along with the 10-track standard version. Guests include John Fogerty, Keith Richards, Sheryl Rock, Tim McGraw and Eric Clapton. 16. "Sunday Morning Coming Down"
18. "Miss The Mississippi and You"
Last night the management of Jerry Lee Lewis and his daughter Phoebe Lewis has informed us that Jerry is unable to make his European Summertour starting in Belgium Saturday july 17 and finishing in Finland on august 1st. Jerry is suffering from SHINGLES (acute vesicular inflammation), very painfull and it causes also problems with his heart. Jerry had a 3 hours surgery yesterday in the Hospital in Memphis and his docters have advised him NOT to do the tour at this moment.They have told him that everything will be fine again in one month. I also spoke to Jerry personal last night, he was very depressed and sad that he had to cancel his summertour.Please understand that Jerry Lee Lewis has not been ill during the last FIVE years. I spoke to the Agent Steven Green and to Jerry’s manager Phoebe Lewis and both advised me to postphone the tour to NOVEMBER 2010,just a couple of months later. Important reason to do it NOVEMBER is also that JERRY LEE LEWIS brandnew CD and DVD MEAN OLD MAN will be released WORLDWIDE in the FIRST week of september. So to do the concerts in november that will give Jerry Lee Lewis a HUGHES publicity with the new album and the promoters enough time to reschedule the venue. Chuck Berry, the music legend, guitarist, lyricist, singer and pioneer of rock 'n' roll, was honored by Councilmember Tom LaBonge and adoring music fans at the Hollywood and Highland Center on Friday, July 2nd, 2010. Councilmember LaBonge declared "Chuck Berry Day" with a presentation of a resolution from the City of Los Angeles. Scott Moe, treasurer of the Hollywood Chamber of Commerce presented the legendary musician his Hollywood Walk of Fame plaque. The "King of Rock and Roll," Chuck Berry was honored with the 1,857th star on the world famous Hollywood Walk of Fame on Thursday, October 8, 1987 at 12:30 p.m. The star ceremony was held at 1777 N. Vine Street in front of the Capezio Dance Store. About The Hollywood Walk of Fame: It began with the installation of a few demonstration stars in August 1958, the first of which was dedicated to actor Preston Foster. Officially dedicated in November 1960, the Walk now features 2,400 stars in the categories of television, radio, live theatre, motion pictures and recording. The Walk of Fame ceremonies draw international media attention and throngs of people to catch a glimpse of a favorite celebrity or Hollywood industry leader. It is one of the top tourist draws in Los Angeles and most recognizable images of Hollywood, along with The Hollywood Sign.